Fabric Belting provided come in value construction finish and gives working hold up in temperatures ranging from -70°C to 230°C. Offering the effective UV and ozone resistance, these belting provide outstanding flexibility and get applications for electric lagging for sleeve as well as in manufacturing conveyor. Some of its attributes involve availability in diverse color alternatives such as black, red, grey; coming made through cotton fiber in warp or weft finish; small elongation and better automatic binding support; have comparatively small bend in high temperature working situations; tension defiant body finish. We are the best fabric belting manufacturer in India. The company manufactures and supplies a wide range of belting fabrics that are used as reinforcement material inside the conveyor belts. Processed in multiple layers inside the conveyor belts, the belting fabrics are required to be resilient and offer requisite strength and durability to the final product. With more than 35 years of knowledge and a devoted team operating in re-engineering fabric requirements, the Filtech Fabrics claims to offer custom-made and personalized products to its clients internationally. Like the second biggest producer of conveyor Belting Fabrics all over the world, the organization furnishes its clients in the many countries of the world. 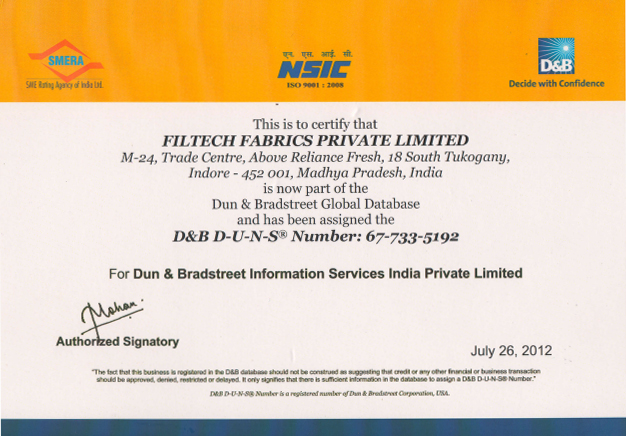 Filtech Fabrics is a well-known bolting cloth manufacturer, supplier and exporter in India, which provides highly valued and a broad variety of premium quality Nylon Bolting Cloth. That made in the deliberation of all organizational norms and needs with which Filtech Fabrics has fixed a norm in the industry. We look ahead to deliver fulfilled quality of bolting cloth substance that value for your money. Knowledgeable and dependable vendors assist us in managing the pre-eminence of the cloth. Our know-how lies in providing with the best quality bolting cloth in the market of India. 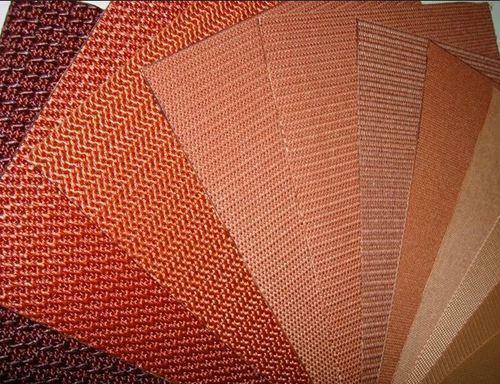 The bolting cloth provided by us is produced through high quality yarn and is required for its best quality. It comes in different designs, touch and finish that are highly suggested by our customers for their toughness, skin responsiveness, water revolting and non toxic nature. Because of their high tensile vigor, toughness and the best finishing, our bolting cloths are widely required and highly praised by our valued customers. Quality constraints and industry regulations are firmly pursued by the company to keep up the norm of whole product variety and gratify the customers totally by offering value to their money. We offer our variety at most dependable costs of the industry. Our artifact is present in the materials of nylon and polyester. Bolting Cloth is generally employed in industries such as flour mills, Chemical, drugs, syrups, pharmaceuticals, starch, refrigeration, adhesives, distilleries and beverage, clay and ceramic vacuum cleaner and various organizations have significant usage of bolting cloth. Our bolting cloth has a number of unsurpassed attributes that make us diverse from different producers with substantial quality and requirements. Some of those are given below: Corrosion resistance, wear resistance, heat resistance, chemical resistance, acid resistance, tough, high power and suppleness, designer touch, excellent finishing and frivolous.